Shea Morrison, Co-Founder of @thegoodnightco. Sleep advocate and dream lover. Proud wife to Peter and Mum of Molly and Max. According to Miek Wiking, author of The Little Book Of Hygge, this national obsession with all things cozy is credited as one of the reasons why Denmark consistently tops the list of the world’s happiest countries, despite their infamously miserable winters. Hygge is more than wooly socks and open fires, it’s an atmosphere and a feeling that comes from the simple joys and pleasures of the winter months. You can practice Hygge by reading a book tucked up in bed, having a long hot soak in the tub, or preparing a home cooked meal for family and friends. 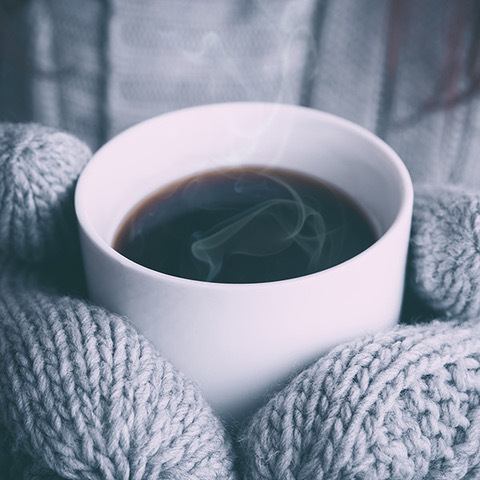 We’ve put together five simple ways to bring the happiness of Hygge to your home. Nothing brings a sense of cosiness and calm to a room than a lit candle. Adding a candle to your space emanates a feeling of warmth and relaxation. Hygge is much more than soft blankets and lounge wear. Hygge is all about taking care of your personal being and the act of being present. Take personal time away from the world and your phone by reading a book or journaling. One of the most well known traits of Hygge is ‘cosiness’. Look for soft, natural fabrics like cotton and wool that have a weight to them when searching for the ultimate winter blanket. Weighted warm blankets will also aid a deep peaceful rest. Reward yourself with home baked treats. Hygge is about loving yourself and those around you, so why not treat yourself to a little indulgence. Focus on warmth from the inside out with the delight that comes from the hot cup of tea. Look for soothing, calming teas such as camomile and passionflower like TGC’s beautiful Goodnight Tea blend. We think everyone could do with a little Hygge in their lives.